The Goods and Services Tax (GST) Council will meet again on June 3 to decide on the levy on remaining goods, including gold, footwear and textiles, Minister of State for Finance Arjun Ram Meghwal said on Thursday. "In its next meeting on June 3, the GST Council will fix rates for certain items that could not be decided upon at its (previous) meeting in Srinagar," Meghwal said here while speaking at a GST Summit for traders organised by the Associated Chambers of Commerce and Industry of India (ASSOCHAM) and Consumer Electronics and Appliances Manufacturers Association (CEAMA). "We have also received representations from some sectors, including textile. We will discuss it in the next GST Council meeting. In textile sector, garment manufacturers and cloth manufacturers want different rates, we will discuss these issues on June 3," he said. He also said that Finance Ministry has advised the trade and industry bodies along with its three technical institutes -- Institute of Chartered Accountants of India (ICAI), Institute of Company Secretaries of India (ICSI) and Institute of Cost Accountants of India (ICAI) -- to organise awareness campaigns ahead of the GST roll-out from July 1. "As a representative of the government, I promise that businesses will be simplified including for the Micro, Small and Medium Enterprises (MSMEs)," he added. Meghwal noted that the decisions taken so far by the GST Council are not based on majority, but on the basis of consensus among all state Finance Ministers. The Union Minister said that GST will help bring down logistics cost and that would perhaps be the biggest benefit of this game-changing reform. "Recently, an international conference on logistics charges was organised by Union Minister Nitin Gadkari whereby we observed that logistics charges in developed countries like Canada, US, France, Germany and others is a meagre eight per cent whereas in India it is about 13.5 per cent," Meghwal said. "We include transportation and warehouse charges in logistics charges. GST will bring down logistics costs massively and bring us at par with the developed nations," he added. Meghwal said the difference in costs for the same product does not provide India a level playing field in the era of World Trade Organisation, adding that implementation of the GST is a must in tune with the same. 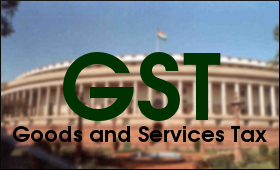 Highlighting certain other possible benefits of the GST, the Union Minister said that this legislation would undoubtedly lead to ease of doing business. He added that it will also simplify filing returns, widen the tax net, reduce human interface and curb corruption. "For years together we have lived as a society, which believed in tax evasion but now we have to be prepared for this change of increasingly more Indians paying taxes," he said. He also said that 2017 will be remembered as a year of unprecedented economic reforms. Commenting on the low GDP (gross domestic product) of 6.1 per cent in the March quarter, Meghwal termed it as a 'temporary phase' and said there is no need to fear as the country's economy was growing rapidly.